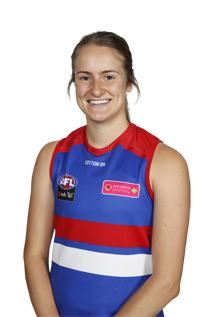 The Western Bulldogs’ AFLW players have been put to work this pre-season, according to forward Ellyse Gamble. Hard-working ruck who can play forward when needed. Had some fantastic results in the AFL’s talent search program in Tasmania and continues to develop. 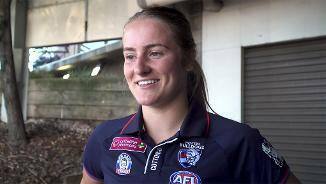 Captained her home state in the 2016 AFL National Youth Girls' Championships.